Car hire Gran Canaria Airport (LPA). We compare prices from Gran Canaria’s leading rental companies in over 300 different destinations. Our prices on car hire always includes unlimited mileage, and all necessary taxes and insurances. Use the search engine below for guaranteed best price on car rental Gran Canaria Airport. The best way to discover the unspoilt Gran Canaria is to rent a car and drive lost in the countryside. There are many villages and small places that are not yet occupied by tourists, and here you can meet the local culture up close. 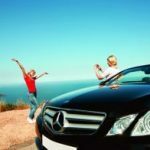 We offer a wide range of car hire in Gran Canaria in Spain, ranging from small cars that best suit a couple traveling alone on holiday, to large family cars and minivans where the whole family can travel together. Whatever you need, we have a rental car that will suit you well. How about making your holiday in Gran Canaria a little more special and treat yourself with some luxury? Experience the fresh air, the wind in your hair and enjoy the most beautiful monuments with a convertible car hire at Gran Canaria Airport. 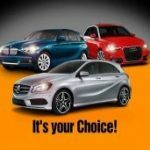 A good selection of convertible cars from many different car hire companies means that we have a convertible for you regardless of budget, ranging from economy to luxury class. Renting a convertible is a fun and stylish way to experience many of the sights throughout Spain. 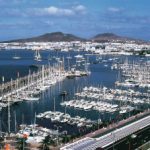 Gran Canaria you explore best in a rental car, and if you need 7 or 9 seater car hire at Gran Canaria Airport, it is cheaper to rent than two small cars, as well as savings on gasoline costs etc. 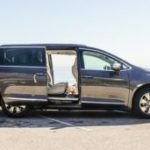 With a seven or nine seater car, it will allow bigger families or golf groups to travel together so nobody misses day trips to the beach or other adventures in Gran Canaria. Book you car rental early, because all 7 and 9 seater cars are highly requested, with limited availability. This is especially true for Easter and the summer months between June and September. There is nothing better than renting a luxury car on an exotic island in Spain, or driving down the coast and visiting Spain’s best sights. 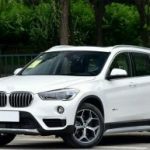 We have many luxury rental cars and sports cars throughout Spain, at train stations, airports, ports, and in the city that make it easy to drive in style across Spain. Through us you can access top luxury cars from famous brands like BMW, Mercedes, Audi, Range Rovcer, Ferrari, Porsche, Maserati, and Jaguar to name a few. If you need a rental car for your stay in Gran Canaria, it’s easiest to book it for pickup when you arrive at Gran Canaria Airport. Then you can easily return it when you return to your home country, and you do not need alternative transport to and from the Airport. In most cases, this is less expensive than using small local suppliers in Gran Canaria. Always order as early as possible. In high season there is a battle for the rental cars in Gran Canaria. This means that prices will be higher. If you book on the internet as early as possible, the chance will be great for getting a car rental at a much cheaper price than by booking when you arrive in Spain. Check your car rental price in Gran Canaria by using the form above. After ordering, confirm the confirmation email you receive by email. You must bring this with you when you pick up the car. In addition, you must bring credit card, passport and valid driver’s license. Please read carefully the contract from the car rental company before signing. Is it in Spanish, so ask for it in English. In particular, check with insurance, deposit, and fuel conditions. 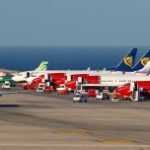 Gran Canaria Airport is the fifth busiest in Spain, and is 18 kilometers from the island’s capital Las Palmas. A taxi to the city costs around 30 euros, and about the same for a trip to Playa Del Ingles. Puerto Rico gets you for around 50 euros. The bus takes you to Las Palmas for 3 Euro. The airport in Gran Canaria is the largest airport in the Canary Islands and the 5th largest airport in Spain after the number of passengers. 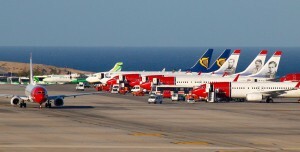 In 2009 9,155,670 visited Gran Canaria Airport. It is the main base for the airline Binter Canarias and serves over 70 different destinations. Gran Canaria Airport has a good selection of bars, cafes and restaurants and several shops. Other facilities at the airport’s Office, internet cafe, bank, post office, children’s play area, chapel, baby / family rooms, conference rooms, pharmacy and medical center. There are no hotels at the airport itself. 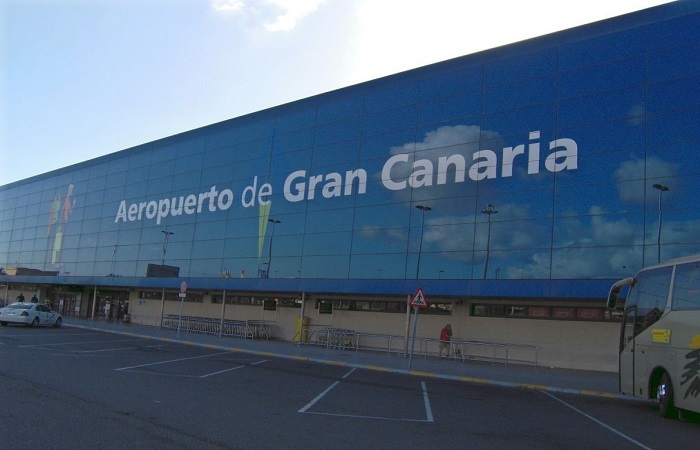 Gran Canaria Airport located on the coordinates 27.93 latitude, -15.39 longitude. The time zone is Atlantic/Canary (GMT+0) and its currency is ESB. This entry was posted in Car hire Gran Canaria, Gran Canaria and tagged Airport, Car hire, car rental, gran canaria, LPA, Spain on 17th February 2015 by webmaster.